The 27-year-old has been at Chelsea since the 2012-13 season. Chelsea fans, rejoice. 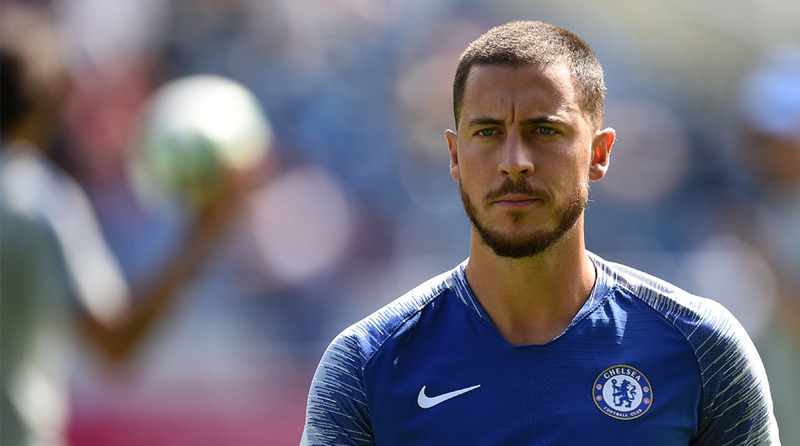 For it seems that star winger Eden Hazard will put to bed any rumours of a move to Real Madrid by finally penning a contract extension in the coming days. The club have been locked in negotiations with the player for over year and the Blues faithful were fearful that Hazard would follow in Thibaut Courtois’ footsteps by forcing a transfer to Real Madrid before the closure of the European transfer window on August 31. 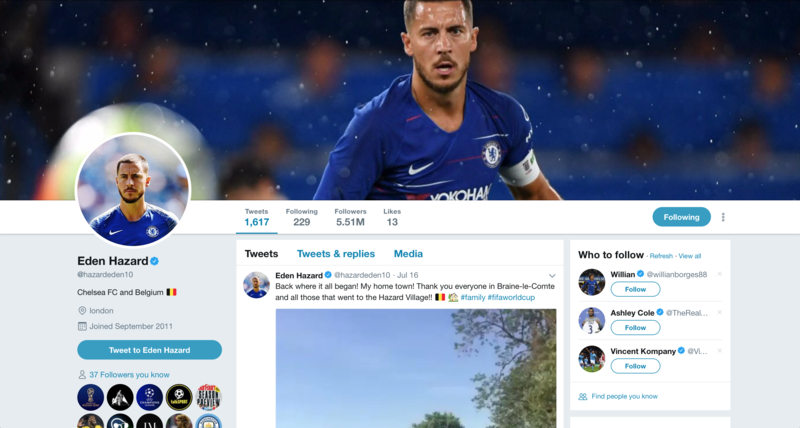 However, after Hazard changed the cover picture of his Twitter handle to one of him wearing the armband for the West Londoners, fans are taking it as a sign that the player wants to stay. Already one of the highest-earners in the Premier League, Hazard’s new deal is likely to see him earn a weekly wage upwards of £350,000. The 27-year-old, currently not fit enough to start after reporting for pre-season training only last week, had a sensational cameo against Huddersfield Town on Saturday. Despite being on the pitch for less than 15 regulation minutes, the diminutive Belgian found time to complete more than a few mazy dribbles and crucially, set up Pedro for Chelsea’s third. After two tumultuous but successful seasons under Antonio Conte, the West Londoners have begun a new era with Maurizio Sarri at the helm. The fact that the former Napoli boss’ style of play aka Sarrismo is known to entertain, more than anything, has gone down well with the Blues squad, including Hazard. Sarri will hope the Belgian is fit for Chelsea’s next game, against familiar foes Arsenal, on Saturday (2200 IST). Currently, the official captain is English centre-back Gary Cahill, but the 32-year-old is no longer a regular and Hazard is a prime contender to be awarded the armband in the coming weeks.